Lush Closes UK Social Media Accounts. Will Other Brands Follow Suit? - novel. As Lush UK Ditches Instagram & Social Media, Will Other Brands Follow? Home / Digital / As Lush UK Ditches Instagram & Social Media, Will Other Brands Follow? 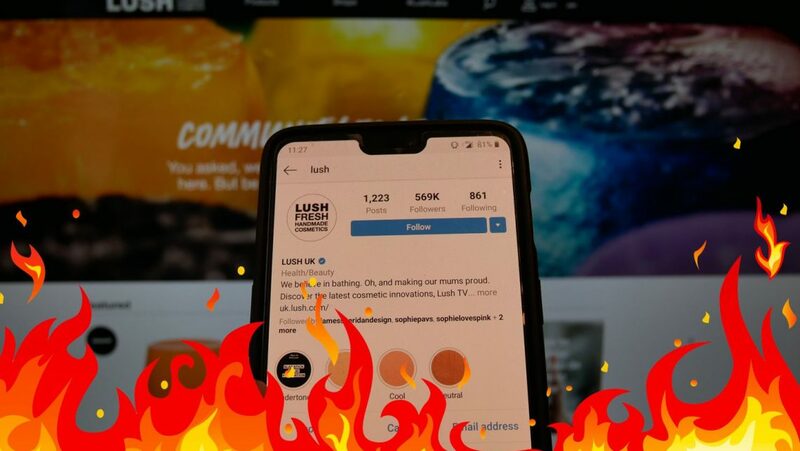 Reaction has been mixed to the news that Lush is going to shut down their social media accounts in the UK, across multiple brands on Facebook, Instagram and Twitter. Fans and followers of Lush are sad the cosmetics brand are closing down their accounts, with many saying social media is their only exposure they have with the brand. Personally I think closing their accounts is a brave, but excellent move. Their official statement says they were “tired of fighting against algorithms”, and that it was getting harder and harder for them to have meaningful conversations with their community. Let be honest, there would be bots all over their Instagram account, and it would have been more and more difficult to cut through the clutter. They have three accounts (Facebook, Twitter and Instagram) across 6 brands (Lush UK, Lush Kitchen, Lush Times, Lush Life, Soapbox and Gorilla) – that is a hell of lot of man power, planning, content creation, community management and reporting. So why wouldn’t they strip all that back, reinvest and redistribute that budget and man power into connections with their true fans and community across email, live chat on their website and other media that they own? The live chat on the Lush UK site. Lush UK has 569,000 followers on Instagram, over 420,000 followers on Facebook, and over 200,000 followers on Twitter. Many brands would snap their hand off to have a following of that size. But that is also part of the problem, isn’t it? With organic reach at an all time low, news feeds and timelines now filled with more content than ever before, and consumer dwell time at it’s shortest ever, do follower numbers really matter? Maybe they matter to someone who sets and manages follower growth as a KPI, but isn’t that thinking out of date? What matters is engagement – and I mean true engagement, not bot engagement – and driving new and repeat sales to the Lush brands. Interestingly, Instagram Checkout only launched in March in the US, which could be why the Lush Cosmetics USA social media accounts aren’t going anywhere. The biggest takeaway from the announcement for me was a clear shift towards a more humanised social media presence. As Lush themselves say in their statement, “This isn’t the end, it’s just the start of something new.“. What they mean by that is a spread of new voices under the Lush brand, taking the reigns of social media. That passion will be driven by brand ambassadors, by handpicked influencers (I hope), and by their creators. I’ve said this a thousand times, but people prefer to interact with people, not brands, so I believe the approach will work much better than the critics think it will. WILL OTHER BRANDS FOLLOW SUIT? Will the Lush announcement start of domino effect of other brands closing down social media accounts? Well, let’s not forget that Wetherspoons removed itself from social media in April 2018, citing concerns about personal data misuse, trolling and the addictive nature of social media. The truth is many brands, agencies and influencers are starting to feel social media fatigue. Burn out. There is more competition. You have to be more creative to stand out. As such, I wouldn’t be surprised if more brands followed suit, and closed one or more of their social media accounts. 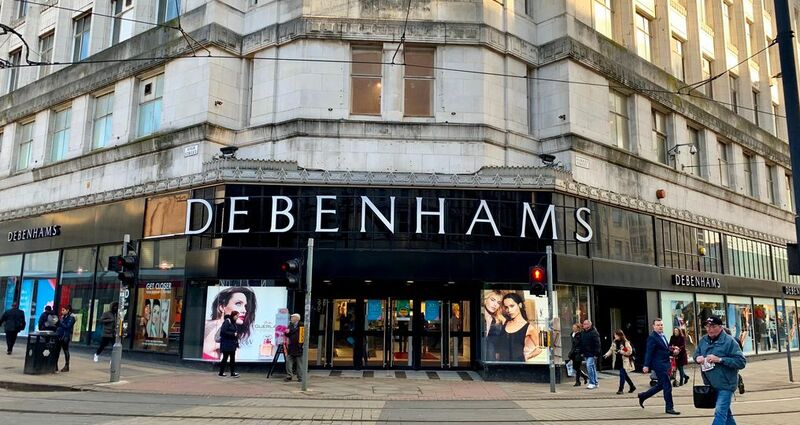 Let’s take the example of Debenhams, who are sadly having to close 50 stores due to falling into administration. That will likely mean job losses and cost cuts across the business. Debenhams have over 550,000 followers on Facebook, 247,000 followers on Instagram and over 210,000 followers on Twitter. There is probably an agency running the account, or creating content, and several people managing the communities on those social media profiles. If it came down to pure numbers, would the administers, banks and lenders really care about follower numbers? If social media was shown to have driven increases in revenue and profit, month on month, year on year, then there would be a business case to support social media. If not, why wouldn’t they shut down their social media accounts, and focus on their website, email, blog and personal shopping service? It’s sad to see the decline of well known high street stores, but if brick and mortar stores are struggling, and online competition is hotting up, don’t be surprised to see more brands send their social media accounts into room 101. Are Lush mad? Is it a positive move? What do you think?